Thieves Broke Into DFCU Bank, Got No Cash Hence Raped An Employee. 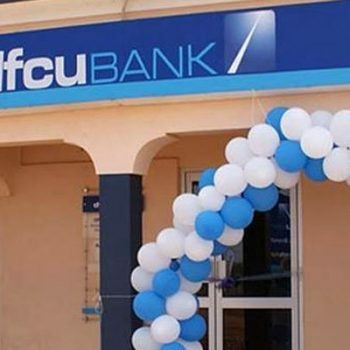 Authorities say four unidentified men armed with an AK47 rifle stormed the bank around 7pm on Monday evening as it was closing and reportedly ordered the three bank employees who were winding up the day’s business to lead them to the safe where cash is kept. They assaulted the trio demanding for the keys to the safe in vain. After failing to compel the employees to handover the key, the thugs reportedly tried to cut the safe without success. They left the bank around 10.20pm. Before leaving the bank, the thugs stormed the CCTV control room and disconnected the cameras. They reportedly made off with the monitor and Central Processing Unit (CPU) used to store CCTV footage. Outside the bank, the robbers hijacked a Vitz belonging to one of the employees that was parked at the entrance, and took off. “The information we are getting is that they tried all they can to get access to the safe, but they failed. The hunt is on and we’re able to establish that one vehicle registration UAX 992N was stolen and abandoned in Busega but investigations are ongoing,” Mr Owoyesigyire said.